The County of San Diego is seeking to develop a pipeline of local talent for its upcoming Southeastern San Diego Live Well Center. The Live Well Internship program will provide job training to 75 youth in the area, followed by paid internships for 50 of those youth to work in the County’s Health and Human Services Agency, and opportunities for interns to apply for long-term employment with the County. 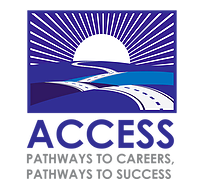 In addition to training provided by the San Diego Workforce Partnership and case management from Access, youth who are selected as interns may receive business clothing from Banana Republic and transportation assistance. If the program receives more applications than it has capacity to accept, priority of service will take effect. This means space will be reserved for foster youth, youth living in households with low-to-moderate income (income table below), and youth who are not enrolled in school. All program participants will be asked to complete a background check, but criminal backgrounds will not necessarily prevent you from participating in the program. Many of the internship opportunities available are open to individuals with certain criminal backgrounds. For more information, please contact Francisco Robledo at frobledo@access2jobs.org or (858) 560-0871 ext. 116. This program is funded in part with Community Development Block Grant (CDBG) program funds provided by the U.S. Department of Housing and Urban Development (HUD) to the City of San Diego and funded by program funds from the County of San Diego HHSA.